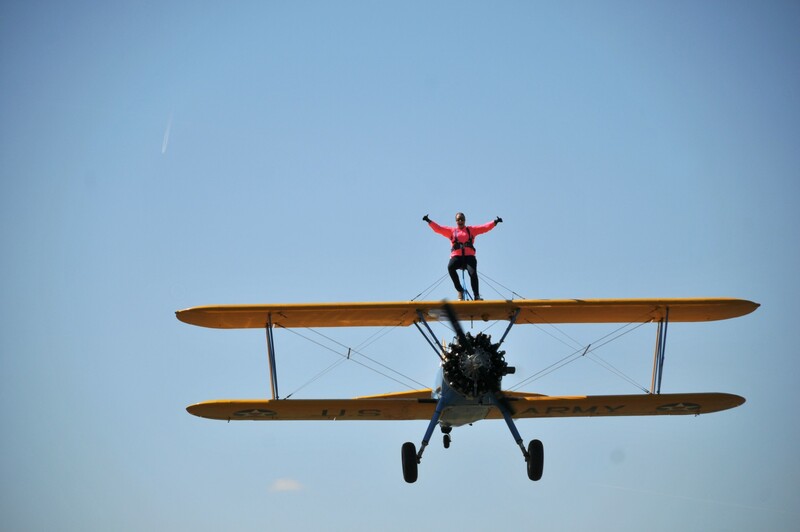 Working alongside the Skymax (Aviation) Ltd) Team we are able to offer this amazing challenge for you to experience the thrill of a wing walking ride from this private aerodrome in the heart of Essex for one of our partner charities. *What date would you like to Wing Walk? The current 2019 available dates from Damyns Hall Aerodrome are as follows. 18th August - 1st October. On the day of your wing walking experience, friends and family are welcome and both airfields have a viewing area and a cafeteria serving food and drink until late afternoon. You will be with the team fhor a maximum of 90 minutes, but you are welcome to stay at the airfield and enjoy the atmosphere for the day. Before your flight the team will provide a comprehensive ground and safety briefing when you will need to sign a fitness/waiver declaration. Once strapped into the 5 point harness you will take off for a 10 minute ultimate experience that will include zooms and climbs at speeds up to 130mph and passes near to friends and family. With 2 high resolution cameras fitted to the aircraft it is possible to record your flight. The recording includes cockpit and engine sounds and is edited then returned to you by post within 28 days in DVD format. The cost of this lasting reminder of your flight is £50 and can be paid for on the day. After your flight you will receive a certificate confirming you have participated in a wing walk. On payment of the deposit we will contact your chosen charity to let them know you are supporting them. Once you have raised the minimum donation the charity will cover the cost of the challenge, which is £435.00 and keep the remaining donation to benefit their charity. The wing walk challenge is weather dependent therefore it may be wise NOT to book and pay for any travel and accommodation in advance. The Booking Fee is not refundable unless we are responsible for your cancellation. You can re schedule your booking up to 48hrs before your flight at no charge. Should the weather be unsuitable for wing walking on the day it will be up to the wing walker to return to the aerodrome on another occasion(s) if necessary to complete their wing walk. 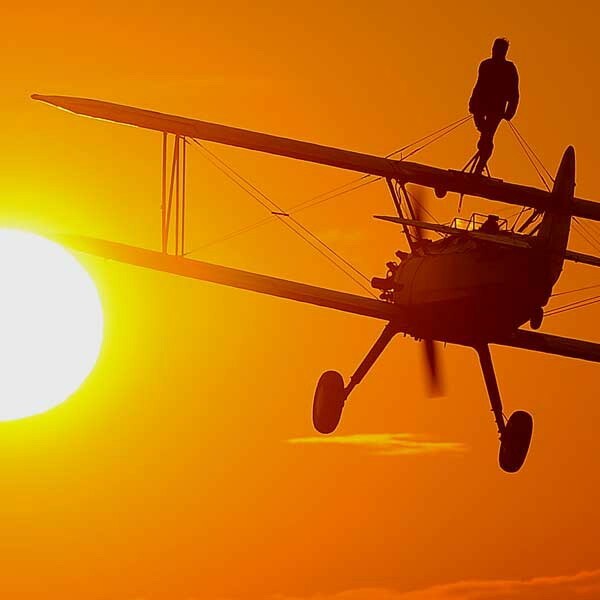 In consideration of the payment of the booking all reasonable steps to arrange the wing walk at your nearest available aerodrome but since wing walking is a very popular experience, we may be forced to offer you an alternative venue due to lack of availability at aerodromes. As part of our Civil Aviation Authority approval all wing walkers have to be weighed before the flight and it is their responsibility to ensure they are at or below the maximum weight when dressed for the flight. The booking fee is not refundable if on arrival people are not within the weight limitation. To wing walk you must be between 18 and 65. From 66 to 75 you will need a GP’s declaration of good health..
To wing walk you must weigh under 12 stone 2 pounds (77kgs). The principal medical restrictions for all wing walks are diabetes, epilepsy, fits, recurrent blackouts, heart or lung disease, mental illness and some cases of asthma but if you are in any doubt please contact us for further information. All wing walkers are required to sign a medical form before their wing walk declaring their fitness to take part. On payment of the fee for the training and the wing walk, all wing walkers are covered by the aircraft Liability Insurance Policy up to £25 million for liability to Third Parties and personal injury including death. Wing walking is an adventure experience and participation in such experiences necessarily involves a risk of injury or death regardless of the standard of training, supervision and equipment employed. I voluntarily accept all the risks inherent in the experience and I agree for myself and my personal representatives to indemnify and hold harmless Skymax (Aviation) Ltd) against any claim or claims whether on my own account or from third parties arising out of any accident or incident resulting in any loss or damage (including bodily injury and death). By completing your booking on-line you are confirming that you have read all the above sections marked Booking Terms and Conditions, Medical Restrictions, Insurance, and Important Notice, and understand and agree to be bound to those terms and conditions and to comply fully with the same.